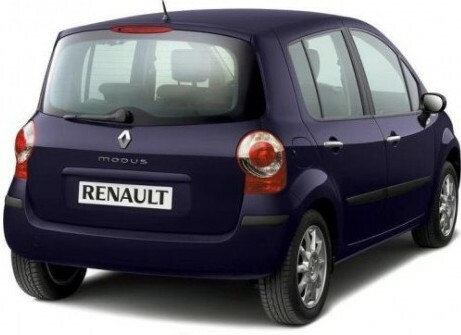 Renault Pulse is powered by a 1.2 Liter 75 Bhp petrol engine and also a 1.5 Liter 65 bhp DCi diesel engine. Tags:- Renault Pulse details, Renault Pulse features, Renault Pulse specs, Renault Pulse launch, Renault Pulse mileage, Renault Pulse india price, Renault Pulse india details, Renault Pulse india varients price, Renault Pulse variants,Renault Pulse pics, Renault Pulse pictures, Renault Pulse images, Renault Pulse trim levels. 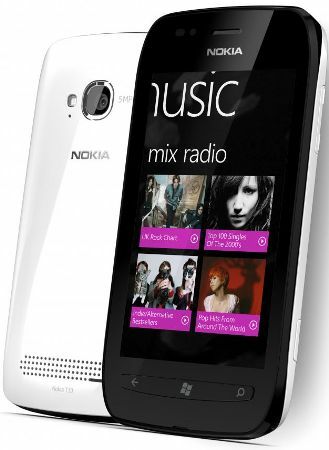 The Nokia Lumia 800 features 3.7 inch (800 x 480) AMOLED ClearBlack curved display powered by 1.4 GHz single-core Qualcomm MSM8255 chip with 512MB RAM. It comes with 16GB built-in storage and has 25GB of free SkyDrive online storage. The phone sports a rear 8-megapixel f2.2 camera Carl Zeiss optics, auto-focus and dual LED flash. Sensor options includes accelerometer, proximity. It comes in three different colors – cyan, magenta and black. Expansion and connectivity options include A-GPS, 802.11 b/g/n WiFi, Bluetooth 2.1 +EDR, a micro USB connector, 3.5mm audio jack and all backed by a 1,450 mAh battery. Lumia 800 measures 116.5 x 61.2 x 12.1 mm and weights 142 grams. Available from November in France, Germany, Italy, the Netherlands, Spain and the UK for €420. Later at year end in Hong Kong, India, Russia, Singapore and Taiwan and in further markets in early 2012. Tags:Nokia Lumia 800 , Nokia Lumia 800 features, Nokia Lumia 800 specifications, Nokia Lumia 800 review, Nokia Lumia 800 details, Nokia Lumia 800 availability, Nokia Lumia 800 specs, Nokia Lumia 800 images, Nokia Lumia 800 pics, Nokia Lumia 800 pictures, Nokia Lumia 800 imgs, Nokia Lumia 800 price,Nokia Lumia 800 Network options, Nokia Lumia 800 Expansion options, Nokia Lumia 800 multimedia features, Nokia Lumia 800 Sensor options. The Nokia Lumia 710 features a 3.7-inch (800 x 480) TFT ClearBlack anti-glare touchscreen powered by 1.4 GHz single-core Qualcomm processor with 512MB RAM. It comes with 8GB of of internal storage. It sports a 5-megapixel rear-facing camera with LED flash. Other options of Lumia 710 include A-GPS, 802.11 b/g/n WiFi, Bluetooth 2.1, a micro-USB connector, audio jack, exchangeable back covers and 1,300 mAh battery. It has a dimension of 119 x 62.4 x 12.5 mm and weighs 125.5 gms. 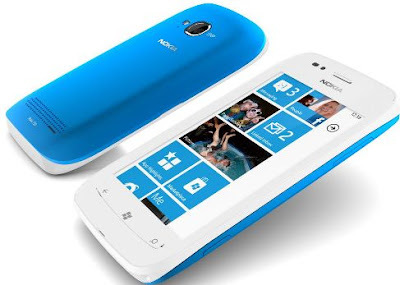 Lumia 710 will come in black, white with black, white, cyan, fuchsia and yellow. 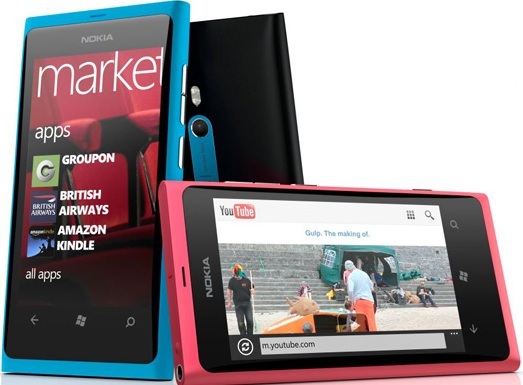 The Nokia Lumia 710 has a price tag of €270 and is expected from November, first in Hong Kong, India, Russia, Singapore and Taiwan. Tags:Nokia Lumia 710, Nokia Lumia 710 features, Nokia Lumia 710 specifications, Nokia Lumia 710 review, Nokia Lumia 710 details, Nokia Lumia 710 availability, Nokia Lumia 710 specs, Nokia Lumia 710 images, Nokia Lumia 710 pics, Nokia Lumia 710 pictures, Nokia Lumia 710 imgs, Nokia Lumia 710 price,Nokia Lumia 710 Network options, Nokia Lumia 710 Expansion options, Nokia Lumia 710 multimedia features, Nokia Lumia 710 Sensor options. 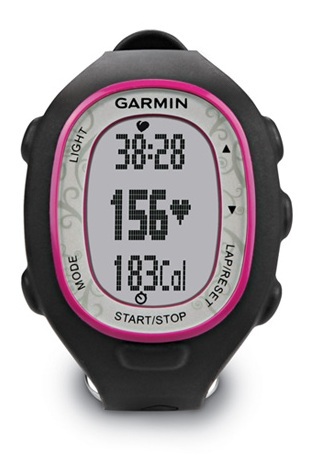 Garmin FR70 comes in two variants for men and women. The FR70 comes with integrated wireless ANT+ technology, making it compatible with heart rate monitors, speed and cadence sensors, foot pods and other fitness equipment. Garmin FR70 is capable of tracking all your workout data, including time, heart rate, calories burned, distance, speed etc... Data's collected can be uploaded to Garmin Connect, where users can easily log their workouts, track their totals, set goals, and share workouts with friends. 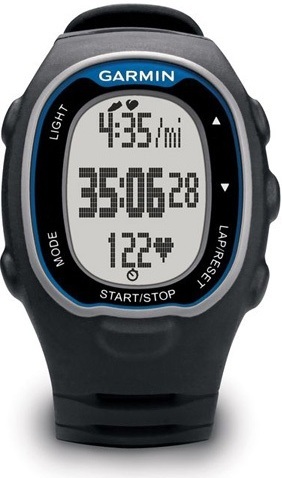 The Garmin FR70 Fitness Watch available in November for $129.99. 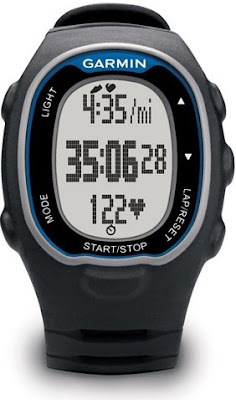 Tags:Garmin FR70 Fitness Watch, Garmin FR70 Fitness Watch features, Garmin FR70 Fitness Watch specifications, Garmin FR70 Fitness Watch review, Garmin FR70 Fitness Watch details, Garmin FR70 Fitness Watch availability, Garmin FR70 Fitness Watch specs, Garmin FR70 Fitness Watch images, Garmin FR70 Fitness Watch pics, Garmin FR70 Fitness Watch pictures, Garmin FR70 Fitness Watch price. Fly E322 features 8.1 cm QVGA 262K Colors Display with 240×320 pixel resolution and sports a 2.0 Megapixel Camera, WiFi, FM Radio, Video/Audio Player, Social Networking Apps, Mobile Tracer. The Fly E322 has an expandable memory which can be expanded upto 32GB. Other features includes Bluetooth, miniUSB, 3.5mm Audio Jack and 1400 mAH Li-ion Battery which provides a talktime upto 14 hours 30 minutes and standby upto 300 hours. Currently no information about the price. 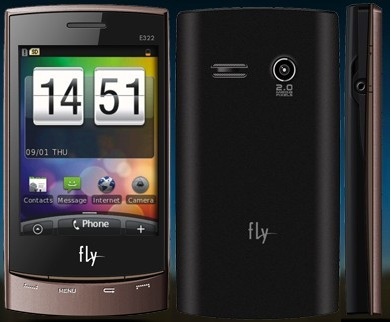 Tags:Fly E322, Fly E322 features, Fly E322 specifications, Fly E322 review, Fly E322 details, Fly E322 availability, Fly E322 specs, Fly E322 images, Fly E322 pics, Fly E322 pictures, Fly E322 price, Dual Sim Mobile Phones. Lytro reveals a new type of camera capable of capturing all the rays of light in a scene rather than focused “pixels” like others. It enables you to capture a scene just as you see it and then focus and re-focus, anywhere in the picture. The working is as follows,it utilizes a “11 Megarays” light field sensor that collects the color, intensity, and the direction of every light ray flowing into the camera, capturing a scene in four dimensions, and then save all this information in HD-quality interactive, living pictures (.lfp format) on the internal memory. 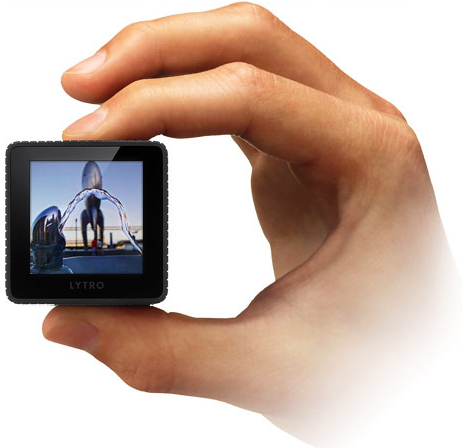 The sensor is combined with a special light field engine that allows refocusing of the pictures directly on the camera. Sharing the captured image is an easy thing, the light field engine associated with each picture helps this with any device, including web browsers, mobile phones, and tablets, without the need of downloading any special software. The company also promises that will release a special light field algorithms that will allow viewing of the pictures in 3D and to enable viewers to shift the perspective of the scene. The camera measures 41 mm x 41 mm x 112 mm and has an extruded anodized aluminum casing which packs 8x optical zoom and f/2 lens, and has just two buttons — power and shutter. On the back it is equipped with 1.46-inch back-lit LCD touchscreen display that lets you view your captured pictures and re-focus directly on the camera. 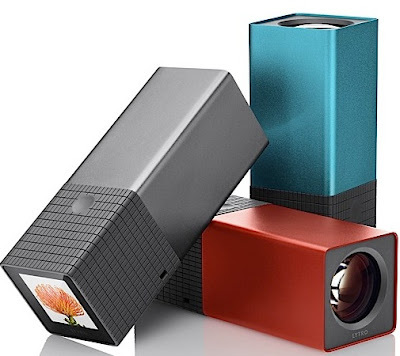 The Lytro camera is available in two models, a 8GB (in Electric Blue or Graphitecolors) which will cost you $399 and can store 350 pictures, and a 16GB (Red Hot) model for $499 that can hold 750 pictures. The cameras are now available for pre-orders and will ship in early 2012. Tags:Lytro camera, Lytro camera features, Lytro camera specifications, Lytro camera review, Lytro camera details, Lytro camera availability, Lytro camera specs, Lytro camera images, Lytro camera pics, Lytro camera pictures, Lytro camera price. Motorola Admiral, a rugged device holding Military Standard 810G for dust, shock, vibration, solar radiation, low pressure and high and low temperatures. It has enhanced security features including password support, remote wipe and data encryption, as well as more than 30 other security policies and data encryption on microSD card. 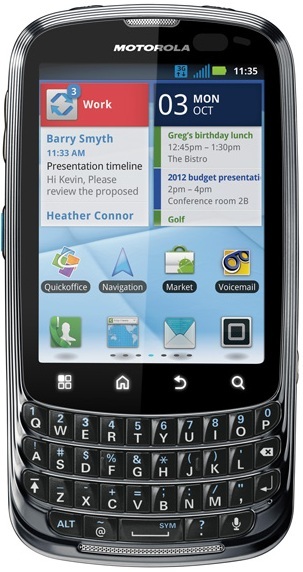 The Admiral features a 3.1-inch (640 x 480) touchscreen display with Corning Gorilla Glass and QWERTY keyboard. 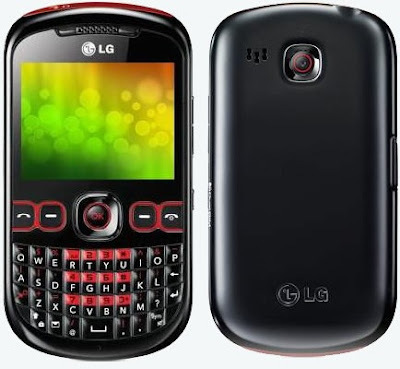 It is powered by 1.2GHz processor with 512MB RAM and runs on Android 2.3 Gingerbread OS. The phone sports a 5-megapixel rear camera with flash, 4x zoom and 720p HD video recording. It comes with 4GB of storage. 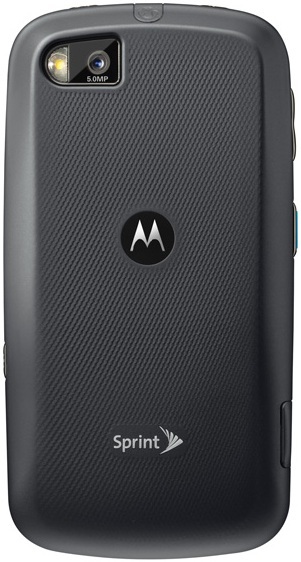 Other features of Motorola Admiral includes GPS, eCompass, 802.11 b/g/n WiFi with hotspot, Bluetooth 2.1, a microSD slot. The phone has a dimension of 61.95 X 118.95 X 12.15 mm weighing 133.6gms and is powered by a standard 1,860 mAh battery. Motorola Admiral available already through Sprint for $99.99 on a two-year agreement after a $50 mail-in rebate and via. others from November 13. Tags:Motorola Admiral, Motorola Admiral features, Motorola Admiral specifications, Motorola Admiral review, Motorola Admiral details, Motorola Admiral availability, Motorola Admiral specs, Motorola Admiral images, Motorola Admiral pics, Motorola Admiral pictures, Motorola Admiral imgs, Motorola Admiral price,Motorola Admiral Network options, Motorola Admiral Expansion options, Motorola Admiral multimedia features, Motorola Admiral Sensor options. 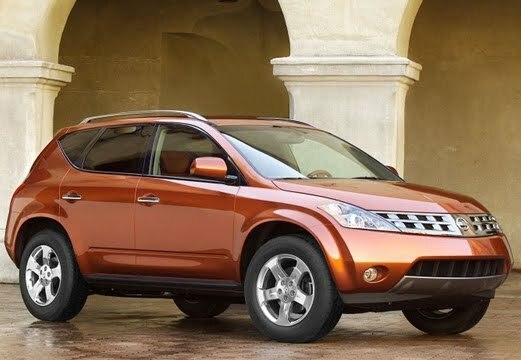 Nissan Murano is a five door mid-size SUV which features a 3.5 L 24-valve SOHC V6 petrol engine that generates a power of 265 bhp @ 6000 rpm and has a max torque of 334 Nm @ 4400 rpm. The Murano is a front wheel drive (FWD) vehicle with all wheel drive (AWD) as an option. 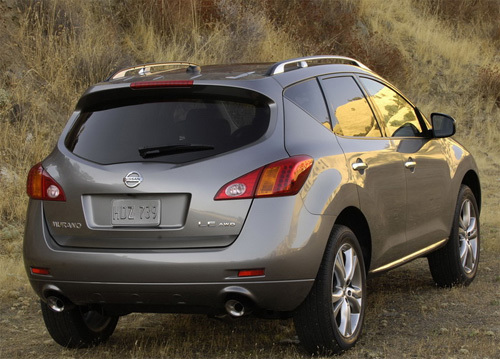 The Nissan Murano has a mileage of 10-13 Kpl on Indian roads. It accelerates 0-100 kmph in just 8.0 seconds and has a top speed of 210kmph. It comes with both petrol and diesel variants in UK but only petrol Variant in India. The diesel variant comes with 6 speed manual gearbox. It is the largest vehicle to have a CVT (Continuously variable transmission). Other features of Nissan Murano includes aluminum interior accents, leather seats, rain sensing wipers, memory seats, mood lighting,ORVMs in body colour with 3D Front fog lamps (like cluster), 20 inch alloy wheels, 11-speaker Bose unit with 9.3 GB hard-disk storage and head-rest mounted LCD screens for passengers in the rear. The Murano will be available in three levels - the base - S, the mid-grade - SL and the top of the line - LE. It will be availabile in India at 2011 end or early 2012 with an expected price tag of 30-33 lakhs in Indian market. Tags:- Nissan Murano details, Nissan Murano features, Nissan Murano specs, Nissan Murano launch, Nissan Murano mileage, Nissan Murano india price, Nissan Murano india details, Nissan Murano india varients price, Nissan Murano variants,Nissan Murano pics, Nissan Murano pictures, Nissan Murano images, Nissan Murano trim levels. 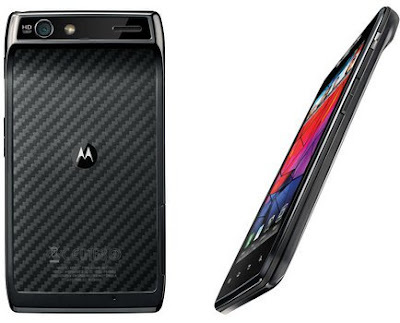 Motorola Droid RAZR features 4.3-inch Super AMOLED Gorilla Glass display with qHD resolution. 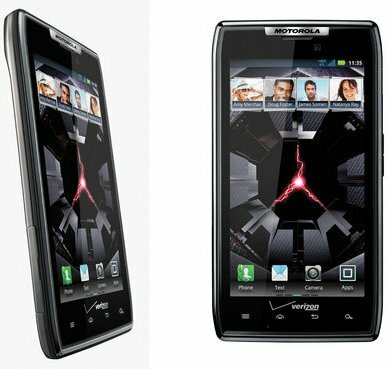 The Droid RAZR has a stainless-steel core and a nanotechnology Splash-guard that protects even the electrical boards inside. 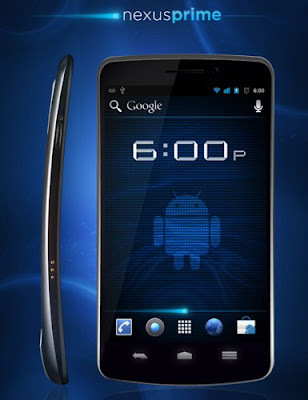 Razar is powered by 1.2GHz dual-core processor with 1GB RAM and runs on Android 2.3.5 Gingerbread OS. Motorola Droid RAZR sports an 8MP rear camera with 1080p HD video capture with image stabilization functionality and has a front-facing HD camera. Other features includes 4G LTE mobile hotspot, and remote wipe, pin lock and government grade encryption for enterprise minded customers. It has 32GB of memory-16GB on board and a preinstalled 16GB microSD card. 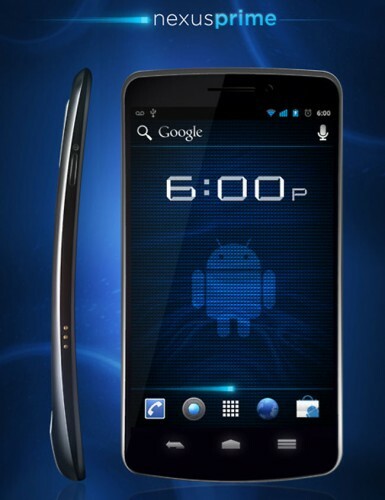 The Droid RAZR is only 7.1mm-thick which is the world's thinnest smartphone. The Droid RAZR supports the webtop interface so you can dock it to one of Motorola's lapdocks, in order to run full Firefox browser. It will be available on Verizon early November for $299.99, with a 2-year contract. Tags:Motorola Droid RAZR, Motorola Droid RAZR features, Motorola Droid RAZR specifications, Motorola Droid RAZR review, Motorola Droid RAZR details, Motorola Droid RAZR availability, Motorola Droid RAZR specs, Motorola Droid RAZR images, Motorola Droid RAZR pics, Motorola Droid RAZR pictures, Motorola Droid RAZR imgs, Motorola Droid RAZR price,Motorola Droid RAZR Network options, Motorola Droid RAZR Expansion options, Motorola Droid RAZR multimedia features, Motorola Droid RAZR Sensor options. 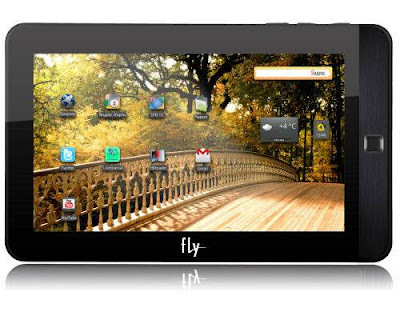 Fly Vision features a 7 inch TFT LCD Touchscreen display with a screen resolution of 800×480 pixels which is powered by a 600 MHz Rockchip 2818 chipset processor and runs on Android 2.2 Froyo OS. Fly Vision Tablet sports a 1.3 MP camera with 256MB RAM and has 4GB of Internal storage which can be further expandable upto 16GB using MicroSD card slot and has Video/Audio player. The connectivity options of Fly Vision Tablet includes 3.5mm audio jack, 3G, Wi-Fi, Bluetooth and it is powered by a 4000 mAh battery. 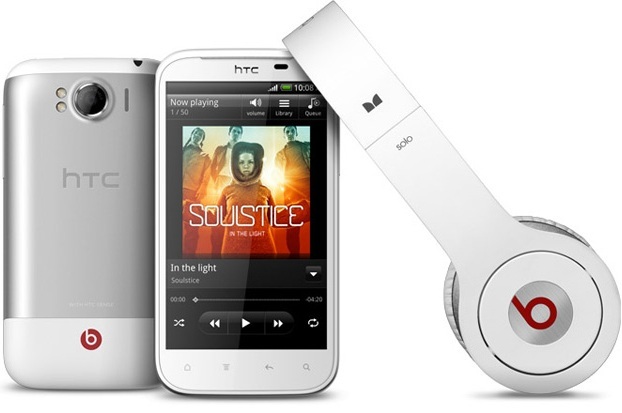 It is available currently in India for a price tag of Rs 7,299. Tags:Fly Vision, Fly Vision features, Fly Vision specifications, Fly Vision review, Fly Vision details, Fly Vision availability, Fly Vision specs, Fly Vision images, Fly Vision pics, Fly Vision pictures, Fly Vision imgs, Fly Vision price,Fly Vision Network options, Fly Vision Expansion options, Fly Vision multimedia features, Fly Vision Sensor options. LG Cookie Duet C310 features a 6.1cm TFT Display with a screen resolution of 320 x 240 pixels. The Duet C310 sports a 2 Megapixel rear Camera. It has 19MB Internal Memory with upto 4GB expandable. Other features of LG Cookie Duet C310 includes FM Radio, Video/Audio Player, USB 2.0 port, Bluetooth, GPRS. It has a standard 1250 mAH Li-ion Battery which gives Talk time Up to 18 hours and standby of 500 hours. Tags:LG Cookie Duet C310, LG Cookie Duet C310 features, LG Cookie Duet C310 specifications, LG Cookie Duet C310 review, LG Cookie Duet C310 details, LG Cookie Duet C310 availability, LG Cookie Duet C310 specs, LG Cookie Duet C310 images, LG Cookie Duet C310 pics, LG Cookie Duet C310 pictures, LG Cookie Duet C310 imgs, LG Cookie Duet C310 price,LG Cookie Duet C310 Network options, LG Cookie Duet C310 Expansion options, LG Cookie Duet C310 multimedia features. 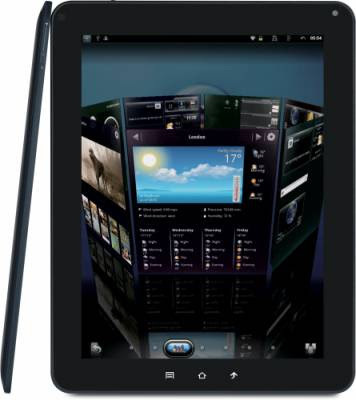 HCL Me X1 Tablet features 7 inch Multi Touchscreen display with 800 x 480 pixel resolution and is powered by 1GHz ARM Cortex A8 processor with 512MB RAM and runs on Android 2.3 Gingerbread OS. The X1 Tablet comes with 4GB of storage which can be expandable further upto 32GB. HCL Me X1 Tablet sports a 2 megapixel front camera. The connectivity and expansion options includes 3.5mm audio jack, 3G USB dongle support, USB, Wi-Fi, Bluetooth, GPS, FM Radio, Social Networking Apps and is powered by 3500 mAh Standard battery. Tags:HCL Me X1, HCL Me X1 features, HCL Me X1 specifications, HCL Me X1 review, HCL Me X1 details, HCL Me X1 availability, HCL Me X1 specs, HCL Me X1 images, HCL Me X1 pics, HCL Me X1 pictures, HCL Me X1 imgs, HCL Me X1 price,HCL Me X1 Network options, HCL Me X1 Expansion options, HCL Me X1 multimedia features, HCL Me X1 Sensor options. Epesitec E516 tablet features 7-inch capacitive screen (double touch) powered by Freescale 1.2 GHz processor with PowerVR Series5 GPU with 512 RAM and 4GB Nand Flash storage which can be expandable further using microSD card slot. 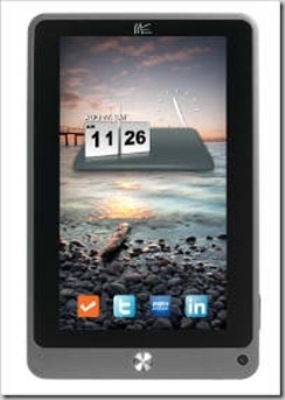 The E516 tablet runs on Android 2.3 Gingerbread OS. 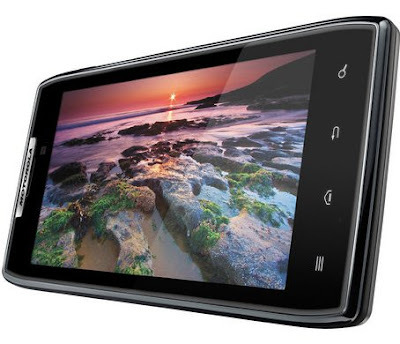 E516 sports a 3-megapixel rear camera and a front facing VGA one. Connectivity options of Epesitec E516 includes 3G, WiFi, Bluetooth, USB 2.0 port, TV-out. Epesitec’s E516 model with 3G module is priced for $249, and the “WiFi only” E515 model for $189. The tablets will be distributed by Epesitec’s partners and mobile phone carriers starting November 1 on a worldwide basis. Tags:Epesitec E516, Epesitec E516 features, Epesitec E516 specifications, Epesitec E516 review, Epesitec E516 details, Epesitec E516 availability, Epesitec E516 specs, Epesitec E516 images, Epesitec E516 pics, Epesitec E516 pictures, Epesitec E516 imgs, Epesitec E516 price,Epesitec E516 Network options, Epesitec E516 Expansion options, Epesitec E516 multimedia features, Epesitec E516 Sensor options, Android 2.3 Gingerbread OS tablets. 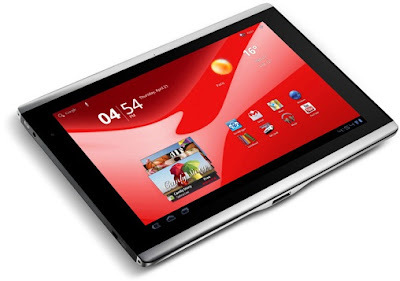 ViewSonic ViewPad 10e features 9.7 inch, 1024 x 768 pixel IPS touchscreen display which is powered by 1 GHz ARM Cortex-A8 processor with 512MB DDR3 RAM runs on Android 2.3 Gingerbread OS. It comes with 4GB of storage with a microSD card slot for further expansion. 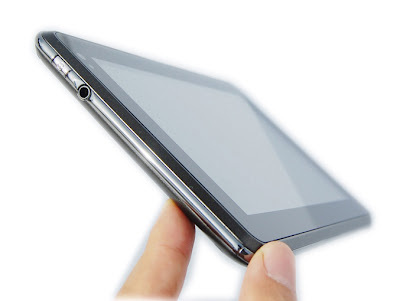 It is a 9.1mm thin tablet. The ViewPad 10e sports 1.3 MP front-facing camera and on the connectivity side it has 802.11b/g/n WiFi, Bluetooth 3.0 with EDR wireless functionality.On the expansion side it has mini HDMI port, a micro USB port and an audio jack. 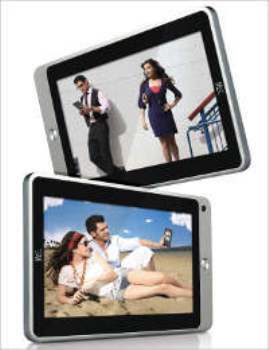 The ViewPad 10e supports 720p HD video playback and measures 9.5inch x 7.4inch x 0.36inch and weighs 1.4 pounds(620g). It has a 5400 mAh Lithium-Polymer battery under the hood which is capable of providing 200 hours standby. Currently there is no official word on pricing or availability but we can expect it for around EUR249.95. Tags:ViewSonic ViewPad 10e, ViewSonic ViewPad 10e features, ViewSonic ViewPad 10e specifications, ViewSonic ViewPad 10e review, ViewSonic ViewPad 10e details, ViewSonic ViewPad 10e availability, ViewSonic ViewPad 10e specs, ViewSonic ViewPad 10e images, ViewSonic ViewPad 10e pics, ViewSonic ViewPad 10e pictures, ViewSonic ViewPad 10e imgs, ViewSonic ViewPad 10e price,ViewSonic ViewPad 10e Network options, ViewSonic ViewPad 10e Expansion options, ViewSonic ViewPad 10e multimedia features, ViewSonic ViewPad 10e Sensor options, Android 2.3 Gingerbread OS tablets. The Nokia 603 features a 3.5-inch (640 x 360 pixels) ClearBlack LCD touch-screen display with scratch resistant toughened glass. The 603 is powered by a 1 GHz CPU and runs on Symbian Belle OS which provides six customizable home-screens and dynamic live widgets. The Nokia 603 has 2GB of storage which can be expandable upto 32GB via microSD card slot. The Nokia 603 sports 5MP rear camera with 4x digital zoom and 720p@30fps capabilities with connectivity options for HSDPA cat 10 up to 14.4 Mbps,HSUPA cat 6 up to 5.7 Mbps, A-GPS, 802.11 b/g WiFi, Bluetooth 3.0, FM radio and Micro-USB connector. It offers single-tap pairing, sharing and tag reading with NFC. The Nokia 603 measures 113.5 x 57.1 x 12.7 mm, weights 109.6 grams and is available in black or white, but offer changeable back cover in six different colors (black, white, fuchsia, green, yellow, blue). The phone comes preloaded with Angry Birds, Fruit Ninja, Shazam, Microsoft Office Communicator, Quick Office, Adobe PDF reader and Vlingo, as well as the latest social networking apps. It is expected to go on sale later this year for about €200 before taxes and subsidies. Tags:Nokia 603, Nokia 603 features, Nokia 603 specifications, Nokia 603 review, Nokia 603 details, Nokia 603 availability, Nokia 603 specs, Nokia 603 images, Nokia 603 pics, Nokia 603 pictures, Nokia 603 imgs, Nokia 603 price,Nokia 603 Network options, Nokia 603 Expansion options, Nokia 603 multimedia features, Nokia 603 Sensor options, smartphones, Symbian Belle OS smartphones. Samsung Galaxy Nexus Prime is a Curve Designed smartphone featuring 4.65” inch (1280 x 720 pixels) Super AMOLED HD Touchscreen display powered by 1.2GHz ARM A9 based Dual Core Processor with 1GB RAM and runs on Android 4.0 Ice cream sandwich OS. The Nexus Prime has 32GB Internal memory and has and Multiformat Video/Audio player. The Samsung Galaxy Nexus Prime sports a 5 MP Rear Camera with FUll HD Video Recording and 1.3 MP Front Camera. The connectivity options include Bluetooth, Wi-Fi, GPS, NFC, Quad Band GSM/EDGE, 3G, 4G Network Support, micro USB connector and is powered by a 1750 mAh battery. Currently there is no information about the price of ths device. Tags:Samsung Galaxy Nexus Prime, Samsung Galaxy Nexus Prime features, Samsung Galaxy Nexus Prime specifications, Samsung Galaxy Nexus Prime review, Samsung Galaxy Nexus Prime details, Samsung Galaxy Nexus Prime availability, Samsung Galaxy Nexus Prime specs, Samsung Galaxy Nexus Prime images, Samsung Galaxy Nexus Prime pics, Samsung Galaxy Nexus Prime pictures, Samsung Galaxy Nexus Prime imgs, Samsung Galaxy Nexus Prime price,Samsung Galaxy Nexus Prime Network options, Samsung Galaxy Nexus Prime Expansion options, Samsung Galaxy Nexus Prime multimedia features, Samsung Galaxy Nexus Prime Sensor options, smartphones, Android 4.0 Ice cream sandwich OS smartphones. Liberty Tab features a 10.1-inch WXGA Active Matrix TFT LCD touchscreen powered by NVIDIA Tegra 2 dual-core processor with 1GB RAM and 16GB of built in storage. It sports 5megapixel rear camera as well as 2 megapixel front camera. The connectivity options of Liberty Tab includes GPS, WiFi, MicoSD card slot, USB port, HDMI. It has a 14mm thick body and runs on Android 3.2 OS. Available in two color versions -Burgundy red or a Pearl White for 399€ in European outlets. Tags:Packard Bell new Liberty Tab, Packard Bell new Liberty Tab features, Packard Bell new Liberty Tab specifications, Packard Bell new Liberty Tab review, Packard Bell new Liberty Tab details, Packard Bell new Liberty Tab availability, Packard Bell new Liberty Tab specs, Packard Bell new Liberty Tab images, Packard Bell new Liberty Tab pics, Packard Bell new Liberty Tab pictures, Packard Bell new Liberty Tab imgs, Packard Bell new Liberty Tab price,Packard Bell new Liberty Tab Network options, Packard Bell new Liberty Tab Expansion options, Packard Bell new Liberty Tab multimedia features, Packard Bell new Liberty Tab Sensor options, smartphones. 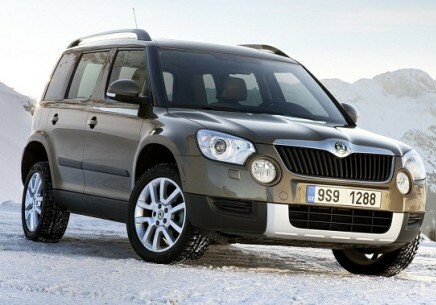 The Skoda Yeti is a 5 seater, 5 Door SUV comes in two types of 4 Cylinder 2.0L In- Line 1968cc Diesel Engines. One delivers a max. power of 110PS @ 4200 rpm with a max. torque of 250Nm @ 1500-2500rpm. This model provides a mileage of 19.2 kmpl. The second Turbo Charger one delivers a max. power of 140PS @ 4200 rpm with a max. torque of 350Nm @ 1750-2500rpm. This model provides a mileage of 15.8 kmpl. The all 4 wheel drive has a 6 speed Manual Transmission Gearbox, the 2 wheel drive version has a 5 Speed Manual Transmission Gearbox. The ex-showroom price details is as shown below. Safety features of Skoda Yeti includes Dual Front SRS Airbags, Anti Lock Brake, Central Lock, Child Lock, Electronic Stability System,Side Door Impact Beams,Knee and Rear Airbags,ISOFIX Seats,Theft Deterrent System,Large Tail Lamps,Aggressive Front Grille,LSPV (Load Sensing Proportion Value),ABS, EDS and ASR. Other common features of Skoda Yeti includes Sunglass compartment, Advanced Audio System, Dual Air conditioner, Foldable tray in the rear seat back rest, Automatic Climate Control,Side curtain Airbags, Outside View Mirror,Sunroof and Cross ways,Leather covered Steering, Dual Tone Stylish Interiors,Twelve Speaker and Radio. The Yeti is available in five colours; Candy White, Brilliant Silver, Mato Brown, Aqua Blue, Magic Black. 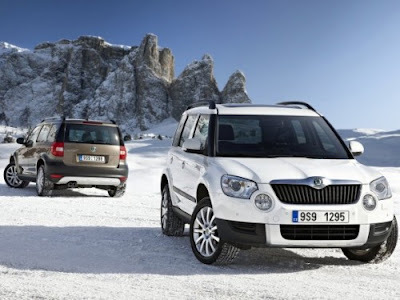 Tags:- Skoda Yeti details, Skoda Yeti features, Skoda Yeti specs, Skoda Yeti launch, Skoda Yeti mileage, Skoda Yeti india price, Skoda Yeti india details, Skoda Yeti india varients price, Skoda Yeti variants,Skoda Yeti pics, Skoda Yeti pictures, Skoda Yeti images, Skoda Yeti trim levels. Skoda Citigo is a three door small car will be available in India by next year(2012). 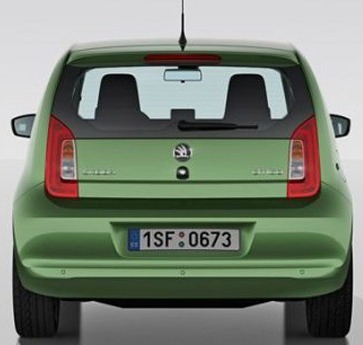 Skoda Citigo has a seating capacity of four-passengers with a boot space of 251 liters which can be extended to 951 liters when the rear seats are folded. As the name sites it is a city friendly car. 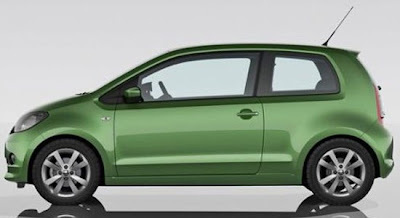 Skoda Citigo is powered by a 3 cylinder two 1 litre Petrol engine which delivers a power of 60PS and 75PS with a torque of 95Nm @ 3000–4300rpm and it will be available in both 5 Speed Manual and Auto transmission. The car is 3560 mm in length, 1650 mm wide and has a height of 1480 mm. Skoda Citigo features Portable Navigation System with a 5 inch touch screen, Head-Thorax airbags, Bluetooth phone connectivity and Brake assistance system. 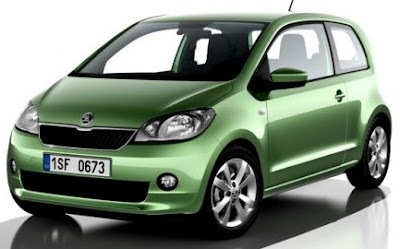 Fuel economy of citigo is expected to be in the range of 22 kmpl to 25 kmpl. Tags:- Skoda Citigo details, Skoda Citigo features, Skoda Citigo specs, Skoda Citigo launch, Skoda Citigo mileage, Skoda Citigo india price, Skoda Citigo india details, Skoda Citigo india varients price, Skoda Citigo variants,Skoda Citigo pics, Skoda Citigo pictures, Skoda Citigo images, Skoda Citigo trim levels. 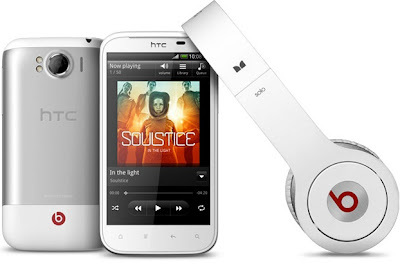 The HTC Sensation XL comes with a 4.7-inch (800×480) Super LCD display with Gorilla Glass powered by a 1.5GHz Qualcomm MSM 8255 single-core processor with Adreno 205 graphics with 768MB of RAM. 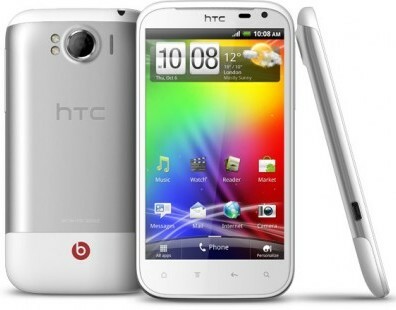 It runs on Android 2.3.5 Gingerbread OS with Sense 3.5 UI and 16GB of internal storage. The Sensation XL sports an 8 megapixel rear camera with BSI sensor, combined with a f/2.2, 28mm wide-angle lens, dual-LED flash and 720p video-recording, plus a front-facing 1.3MP camera. Connectivity options include HSDPA 14.4 Mbps support, a GPS, Wi-Fi b/g/n and Bluetooth 3.0, along with micro-USB and 3.5mm audio jack. The Sensation XL has a dimension of 132.5 x 70.7 x 9.9mm and weighs 162.5gms. It comes with a standard 1600 mAh battery. The Sensation XL comes bundled with urBeats headphones which have a line-in remote and microphone for easy hands-free calling, and which the phone automatically detects when you plug them in the jack and optimizes the audio output accordingly. Tags:HTC Sensation XL, HTC Sensation XL features, HTC Sensation XL specifications, HTC Sensation XL review, HTC Sensation XL details, HTC Sensation XL availability, HTC Sensation XL specs, HTC Sensation XL images, HTC Sensation XL pics, HTC Sensation XL pictures, HTC Sensation XL imgs, HTC Sensation XL price,HTC Sensation XL Network options, HTC Sensation XL Expansion options, HTC Sensation XL multimedia features, HTC Sensation XL Sensor options, smartphones, Android 2.3.5 Gingerbread OS smartphones. 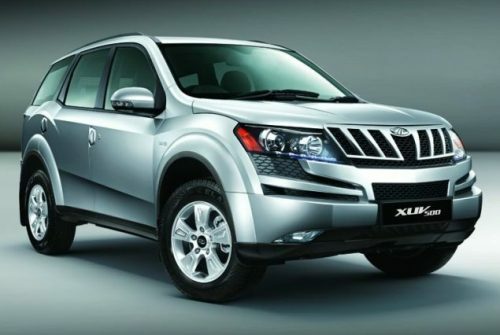 The Mahindra XUV 500 will be available in both all-wheel drive and front-wheel drive forms. It will hit Indian markets by this year end and will be available globally later. The booking of this is already started and has touched 5000 currently. Mahindra XUV 500 comes with a 2.2 liter mHAWK transverse 2179cc diesel engine in two varients which can produce maximum power of 140 bhp and maximum torque of 326 Nm with 6-speed manual transmission. The Saftey features of Mahindra XUV500 includes Cruise Control, ABS, ESP, EBD, Brake Assist, Reverse parking sensors/ Reverse guide system, Traction Control, 6 SRS Airbags,Front and rear disc brakes, LED Daytime running lights. Other features of Mahindra XUV500 includes Power steering, Power windows, Remote central locking/ Keyless entry system, Dual zone climate control system, 17 inch alloy wheels, Dash integrated music system, AUX, Bluetooth and USB support, Electronic adjustment for driver’s seat, Electrically adjustable and retractable ORVMs, Satellite global positioning system, AC vents for rear passengers and Dual-tone theme for upholstery and dashboard. Mahindra XUV 500 will be available in both 4 x 2 and 4 x 4 variants with a seating capacity of 7. The price details of various varients are as follows. 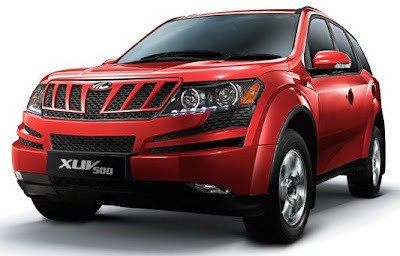 Tags:- Mahindra XUV500 details, Mahindra XUV500 features, Mahindra XUV500 specs, Mahindra XUV500 launch, Mahindra XUV500 mileage, Mahindra XUV500 india price, Mahindra XUV500 india details, Mahindra XUV500 india varients price, Mahindra XUV500 variants,Mahindra XUV500 pics, Mahindra XUV500 pictures, Mahindra XUV500 images, Mahindra XUV500 trim levels. The Hyundai Automatic Santa Fe India comes with a 2.2 liter Common Rail Diesel injected engine delivering maximum power of 197 PS at 4000 rpm and 436 Nm of torque at 1800 – 2500 rpm. The all-wheel-drive luxury SUV has six speed automatic transmission with a mileage of 11.72 kms per liter. 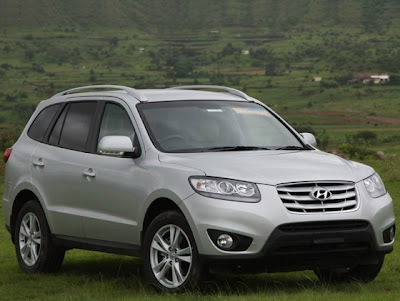 The ex-showroom price of Automatic Santa Fe is Rs. 24.36 lakhs. Safety features includes electronic stability program (EPS) and anti-lock braking system (ABS) with electronic brake force distribution (EBD) and six airbags. 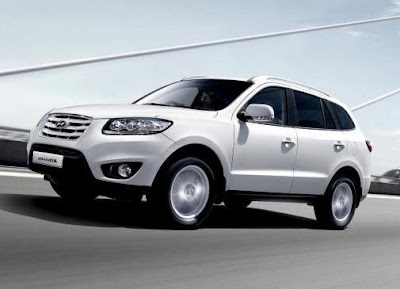 Other important features of Hyundai Automatic Santa Fe includes steering mounted audio and phone controls, navigation unit, a 2-DIN in-car entertainment system with USB and AUX and automatic climate control with dual air-conditioning, push-button start, smart key with one-touch operation. Tags:- Hyundai Automatic Santa Fe India details, Hyundai Automatic Santa Fe India features, Hyundai Automatic Santa Fe India specs, Hyundai Automatic Santa Fe India launch, Hyundai Automatic Santa Fe India mileage, Hyundai Automatic Santa Fe India india price, Hyundai Automatic Santa Fe India india details, Hyundai Automatic Santa Fe India india varients price, Hyundai Automatic Santa Fe India variants,Hyundai Automatic Santa Fe India pics, Hyundai Automatic Santa Fe India pictures, Hyundai Automatic Santa Fe India images, Hyundai Automatic Santa Fe India trim levels. 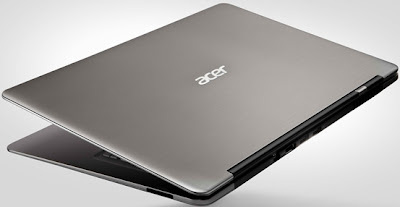 Acer launched S3 Ultrabooks a new range of smaller, lighter and more powerful laptops which are priced within the range of Rs.47,000 and Rs.52,000. 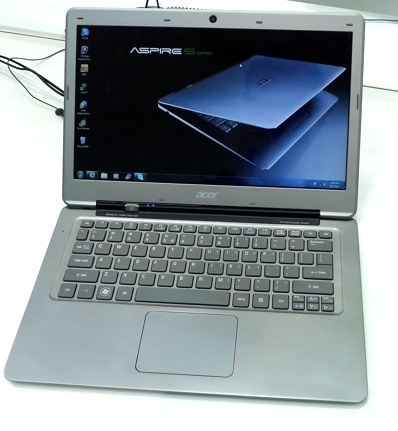 Acer's new range of laptops will be made available in retail chain Croma in India from October 15. The Aspire S3 Ultrabook features second Gen Intel Core i3/i5/i7 processors, has a sleek Magnesium-Aluminum uni-body design with a fingerprint-free metal finish lid and weighs just 1.4 kg. The base model comes with a 13.3-inch ultra-thin HD LED display and a super-lightweight, high-density battery delivering up to 7 hours and has 4GB RAM, 240GB SSD. The Aspire S3 Ultrabook has ‘Instant On' feature that allows laptop to boot from ‘sleep' mode in 1.5 seconds and boot from ‘deep sleep' in six seconds. The ultrabook can access the Internet in just 2.5 seconds. The unit enters a deep sleep state after 30 minutes of no activity. Other common features includes two USB 2.0 ports, an HDMI-out port, A 2-in-1 card reader that supports SD Cards and Multi-Media Cards, Integrated Acer Crystal Eye 1.3MP camera and microphone, Acer InviLink Nplify 802.11 b/g/n Wi-Fi CERTIFIED, Bluetooth 4.0 + HSR, Dolby Home Theater v4, combo audio jack, Windows 7 Home Premium or Professional, alloy chassis and a lid , Full-size Acer FineTip chicklet keyboard. Tags:Acer Aspire S3 Ultrabook, Acer Aspire S3 Ultrabook features, Acer Aspire S3 Ultrabook specifications, Acer Aspire S3 Ultrabook review, Acer Aspire S3 Ultrabook details, Acer Aspire S3 Ultrabook availability, Acer Aspire S3 Ultrabook specs, Acer Aspire S3 Ultrabook images, Acer Aspire S3 Ultrabook pics, Acer Aspire S3 Ultrabook pictures, Acer Aspire S3 Ultrabook imgs, Acer Aspire S3 Ultrabook price,Acer Aspire S3 Ultrabook Network options, Acer Aspire S3 Ultrabook Expansion options, Acer Aspire S3 Ultrabook multimedia features.